← Hot off the Press…………..
……………..sketch of a newspaper advert. There is a motive behind these seemingly random daily sketches – “limbering up” for a bigger project. Cadoozle Pencil, Winsor & Newton and St.Petersburg Pro Watercolours on Moleskine. 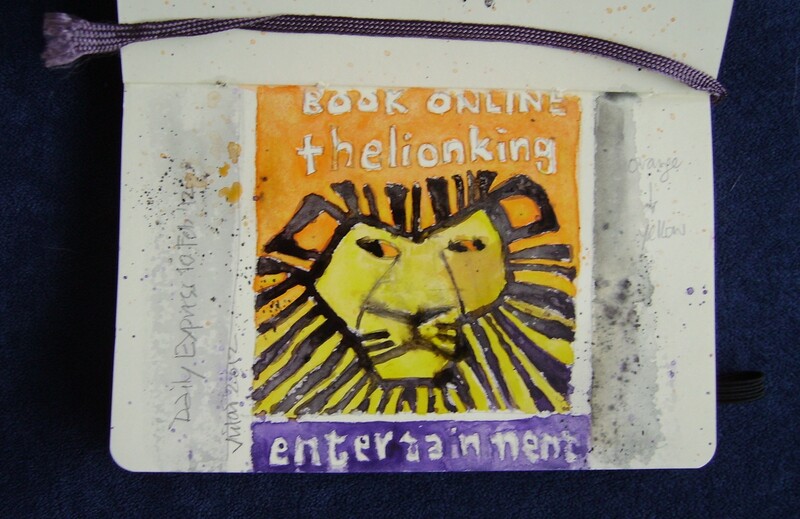 This entry was posted in London, Wider Yorkshire - watercolours and tagged Cadoozle, Daily Express, Lion King, Moleskine, St.Petersburg, Winsor & Newton. Bookmark the permalink.